Now that the Southern Expressway actually goes both directions (how novel! 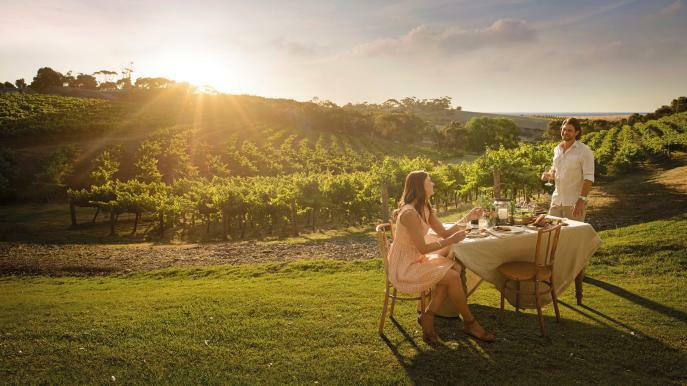 ), getting to the wineries and restaurants of McLaren Vale from the city is a snap. Just a 45 minute drive away, you can even sleep in on Sunday and still make it in time for lunch at the brilliant Salopian Inn or d'Arry's Verandah, do some wine tastings in the afternoon, fit in a spot of antiquing, and get home before sunset. 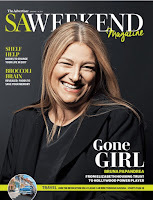 There's only one downside: someone has to do the driving, and miss out on all the vineyard-related liquid fun. Which is, of course, the whole point of going to McLaren Vale in the first place. A much better idea is to spend a weekend there. Walk out of the office on Friday afternoon, hit the road and be in the Vale by dinner time. 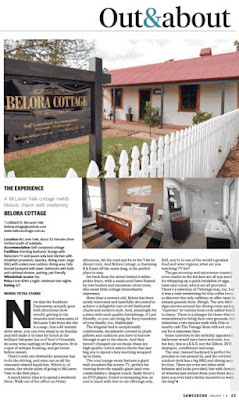 And Belora Cottage, a charming B&B just off the main drag, is the perfect place to stay. Set back from the street behind a white picket fence, with a manicured lawn framed by rose bushes and miniature citrus trees, this sweet little cottage immediately impresses. 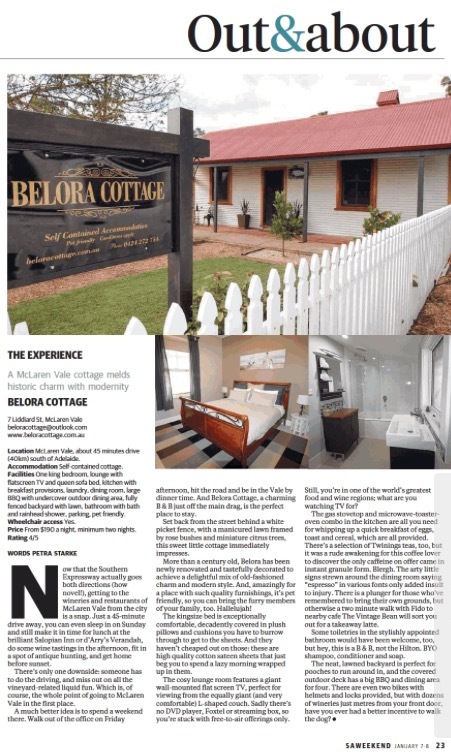 More than a century old, Belora has been newly renovated and tastefully decorated to achieve a delightful mix of old fashioned charm and modern style. And amazingly for a place with such quality furnishings, it's pet friendly, so you can bring the furry members of your family too. Hallelujah! The king sized bed is exceptionally comfortable, decadently covered in plush pillows and cushions you have to burrow through to get to the sheets. And they haven't cheaped out on those: these are high quality cotton sateen sheets that just beg you to spend a lazy morning wrapped up in them. The cosy lounge room features a giant wall-mounted flat screen TV, perfect for viewing from the equally giant (and very comfortable) L-shaped couch. Sadly there's no DVD player, Foxtel or streaming box, so you're stuck with free to air offerings only. Still, you're in one of the world's greatest food and wine regions, what are you watching TV for? The gas stovetop and microwave-toaster-oven combo in the kitchen are all you need for whipping up a quick breakfast of eggs, toast and cereal, which are all provided. There's a selection of Twinings teas too, but it was a rude awakening for this coffee lover to discover the only caffeine on offer came in instant granule form. Blergh. The arty little signs strewn around the dining room saying "espresso" in various fonts only added insult to injury. There is a plunger for those who've remembered to bring their own grounds, but otherwise a two minute walk with fido to nearby cafe The Vintage Bean will sort you out for a take away latte. Some toiletries in the stylishly appointed bathroom would have been welcome too, but hey, this is a B&B, not the Hilton. BYO shampoo, conditioner and soap. The neat, lawned backyard is perfect for pooches to run around in, and the covered outdoor deck has a big BBQ and dining area for four. There are even two bikes with helmets and locks provided, but with dozens of wineries just metres from your front door, have you ever had a better incentive to walk the dog?